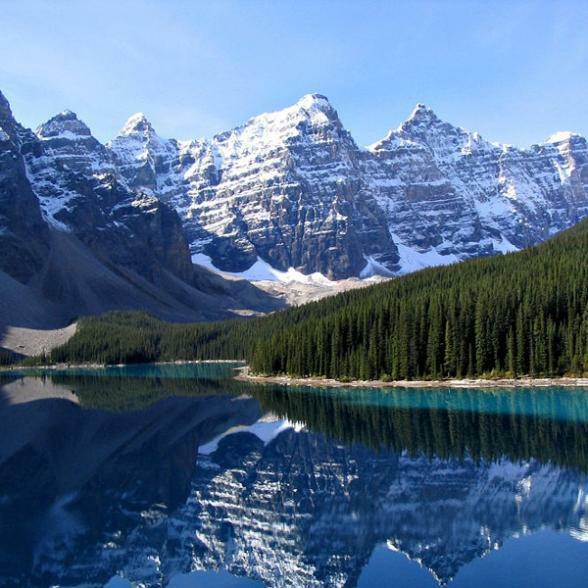 The glaciers, national parks and laid-back cities of western Canada are just some of the highlights on this adventure into places like Calgary, Lake Louise, Whistler, Jasper and Banff.You'll enjoy Insider moments like… discovering the wildlife and iconic scenery of Glacier National Park with a local naturalist, who shares knowledge and insights as you explore onboard one the parks private ‘Red Jammer' buses. Welcome to Calgary. 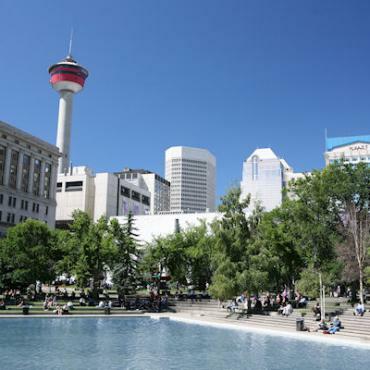 Get settled in at your hotel, located in the heart of downtown Calgary, and spend the afternoon relaxing or exploring. At 6 p.m., gather at the hotel with your Travel Director and fellow travellers for a Welcome Reception. 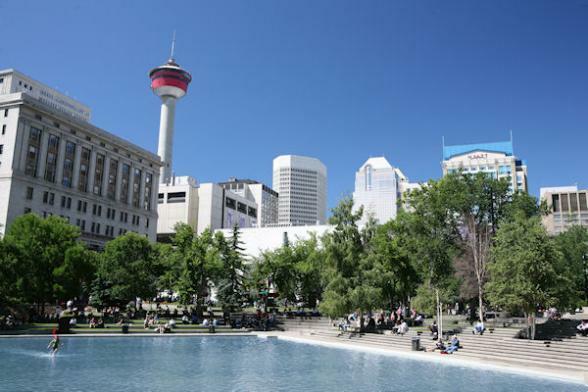 Start your Canadian Rockies and Glacier National Park journey with a brief city tour of Calgary, then head south towards Canada's Waterton Lakes National Park. En route, stop at Fort MacLeod for a visit to the Fort Museum, where you'll get a chance to meet a Local Specialist and learn about the history of the North West Mounted Police. Next, visit Head-Smashed-In Buffalo Jump, one of the world's oldest, largest, and best preserved buffalo jumps and a UNESCO World Heritage Site. The aboriginal peoples of the plains have used this site continuously for nearly 6,000 years. 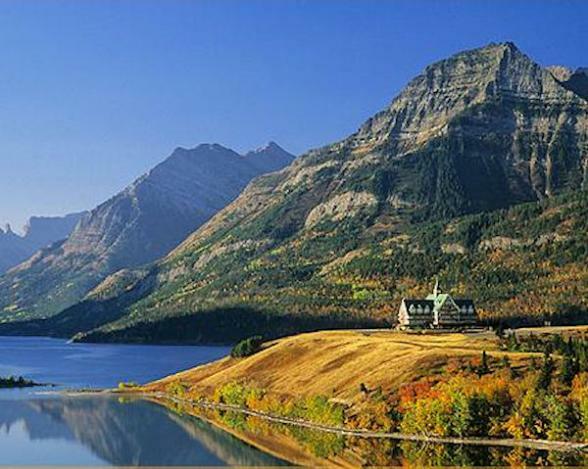 The route south meets the majestic Rockies at the tranquil Waterton Lakes National Park. Beneath ice-capped peaks indulge in a memorable dinner. 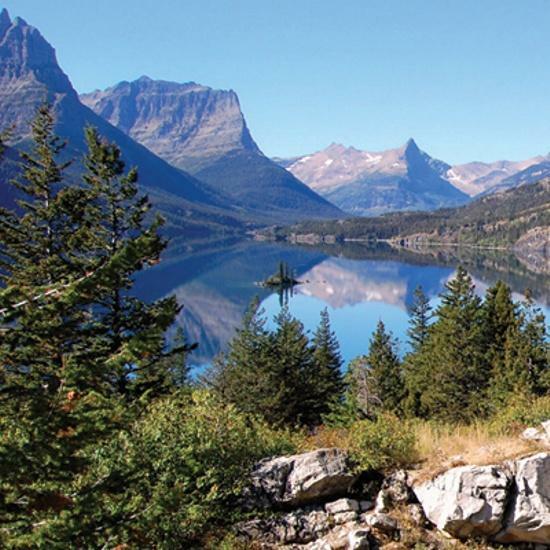 This morning, cross the International Border and into Montana's Glacier National Park, which was joined in 1932 with Waterton Lakes to form the Waterton Glacier International Peace Park, the first of its kind. 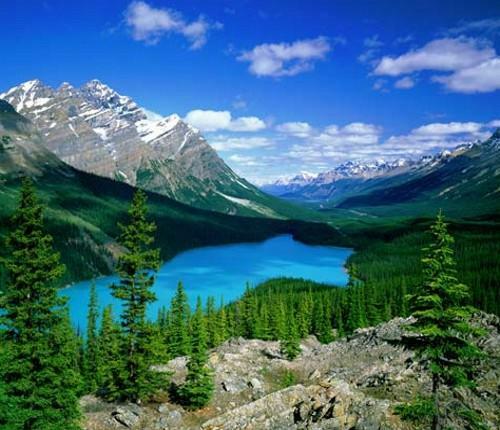 It is both a UNESCO World Heritage Site and a Biosphere Reserve. As you enter Glacier National Park and the stunning Going-to-the-Sun Road, step aboard your private restored 1930s-vintage red touring “jammer” and set out for the ride of your life along this 50-mile long engineering marvel, skirting the shores of St. Mary's Lake, crossing the Continental Divide over Logan Pass and onto Lake McDonald. Keep your eyes out for the wide range of wildlife that lives inside the park, especially the snow-white mountain goats that thrive on the steepest of slopes along the Continental Divide. 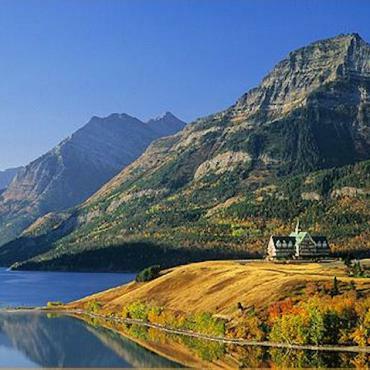 You'll understand why this area is called the “Switzerland of North America” as you travel past the park's mountains and glaciers on your way to Lake McDonald, the largest lake in Glacier National Park and your overnight accommodation, superbly located right inside the National Park, along the lakeshore. Continue your journey through Glacier National Park before heading north back into Canada and the forested area of the western slopes of the Canadian Rockies. 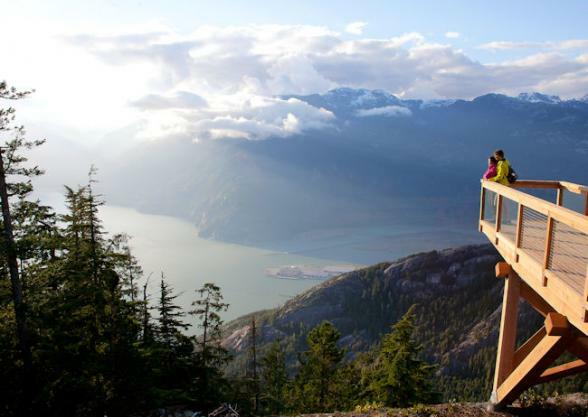 Pass through Fairmont and Radium Hot Springs and travel through the sheer red walls of Sinclair Canyon and through scenic Kootenay National Park. 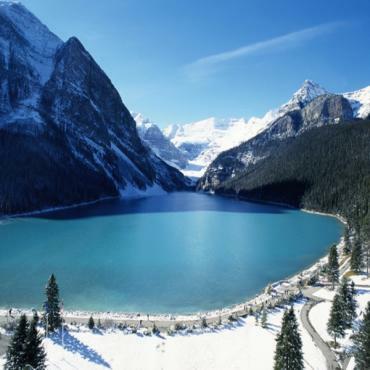 Re-cross the Continental Divide, enter Banff National Park and arrive at your home for the next two nights, Lake Louise, the “Jewel of the Canadian Rockies". 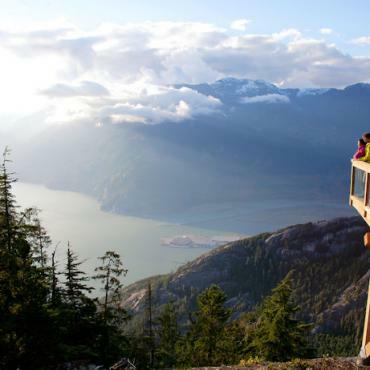 Start the morning with a talk with your Travel Director along Lakeshore Trail, taking in the magnificent scenery of snow-covered peaks, including Mount Victoria at the end of the Lake. 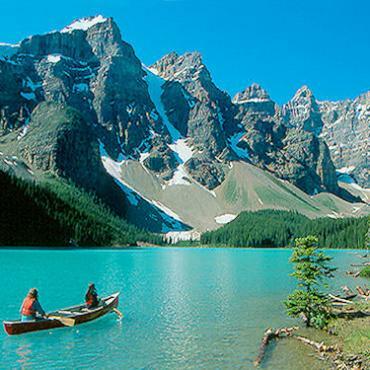 Then head out to Moraine Lake, part of a UNESCO World Heritage Site. 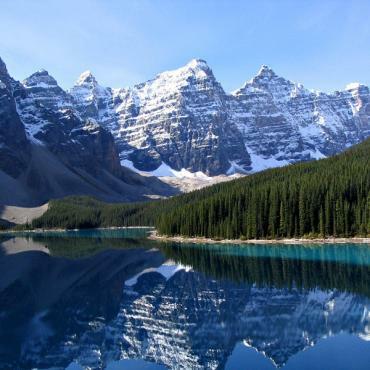 Nestled in the Valley of the Ten Peaks, this is one of the most photographed sites in all of Canada; discover why as you are taken on a guided stroll along the shoreline and enjoy the best views from Rock Pile. 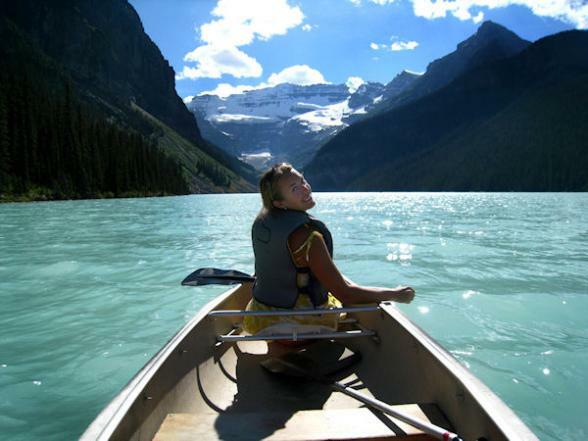 Back at Lake Louise, the afternoon is yours to spend on your own; rent a canoe, hike to Lake Agnes Tea House or simply spend time relaxing along the shoreline soaking up more of the beauty of the area. Set out from Lake Louise for a drive along the spectacular Icefields Parkway and be ready for jaw-dropping views of jagged mountains, thundering waterfalls, glaciers, and snowfields around every turn. Keep an eye out for wildlife including bears, elk, bighorn sheep, and mountain goats. Stop at Athabasca Glacier on the Columbia Icefield and take a memorable ride across the glacier's surface on a specially designed Ice Explorer. 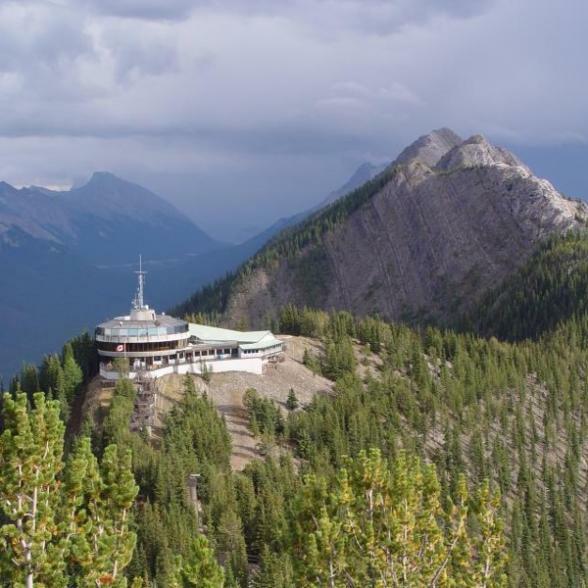 Next, step on Glacier Skywalk, the newest attraction in the Rockies, a thrilling glass-floored walkway, a full 920 feet (280 metres) above the Sunwapta Valley, offering a bird's eye view of glaciers, mountain crags and wildlife along the cliffs below. 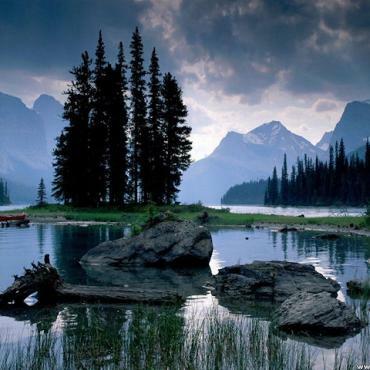 Continue heading north and arrive at your home for the nest two nights, in the heart of Jasper National Park. 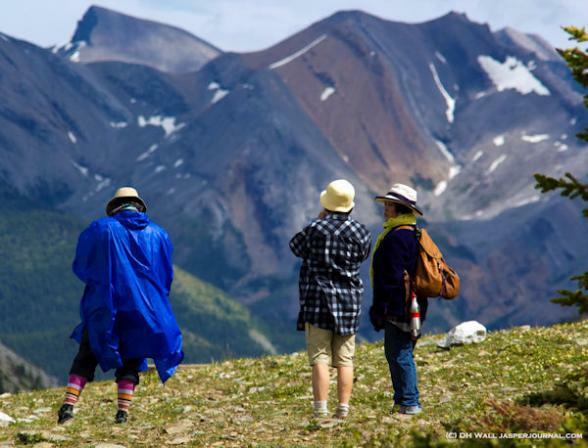 This morning, take part in an interpretive walk at Maligne Canyon, one of the most beautiful gorges in the Rockies. Learn about the underground river system while following the canyon's trail past waterfalls and jagged rock formations. 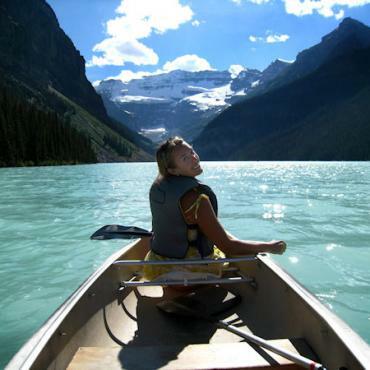 Cruise the waters of Maigne Lake, surrounded by a ring of mountains, and journey to Spirit Island, the heart and soul of Jasper National Park. Back ashore, enjoy a rustic dinner along the lakeshore. Wind your way down the Icefields Parkway and stop at the thundering Athabasca Falls, some of the most powerful and breathtaking falls in the Rocky Mountains. 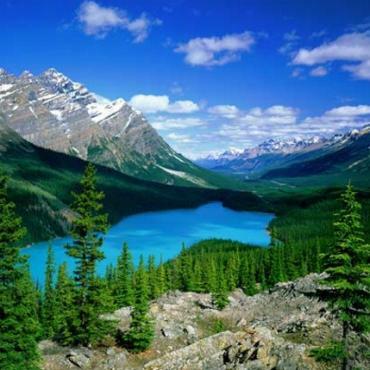 Continuing on towards Banff, enjoy another peak experience as you step out at Bow Summit, the highest point on the Columbia Icefield, and marvel at the turquoise colour of glacier-fed Peyto Lake. Arrive in the welcoming community of Banff, your base for the next two nights. This morning you have the opportunity to enjoy an optional helicopter flight over the majestic Rockies. Later this morning, immerse yourself in the glories of Banff, including the viewpoint of Surprise Corner, spectacular Bow Falls and the wind-shaped rock formations known as the hoodoos. Spend the rest of the day as you like; explore the shops along Banff Avenue or enjoy the facilities at the hotel. Later, you'll be greeted by your hosts for the evening, the Guinn family, who welcomes you to their ranch for a special Be My Guest Farewell Dinner. Hop-on a horse drawn hayride and set out on one of the scenic trails surrounding the ranch. 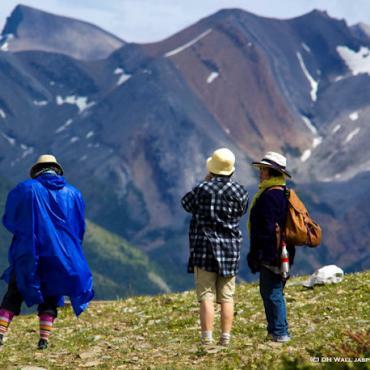 Enjoy pristine views, flowered alpine meadows and abundant wildlife. Back at the ranch, the aroma of a sizzling barbeque will whet your appetite as a delicious meal of Alberta Beef with all the trimmings is being prepared. 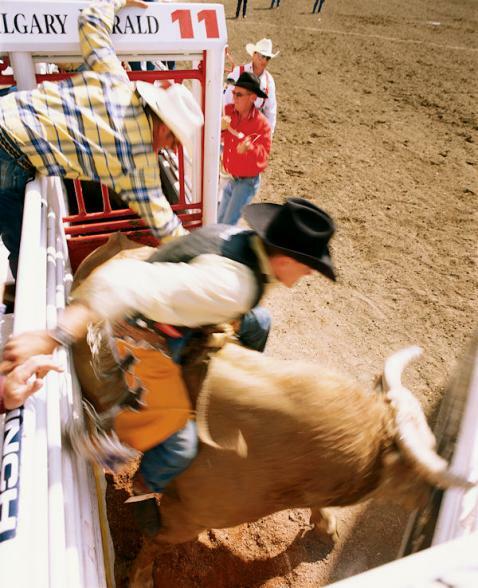 After dinner, enjoy a private lesson in the traditional country western style of line-dancing. 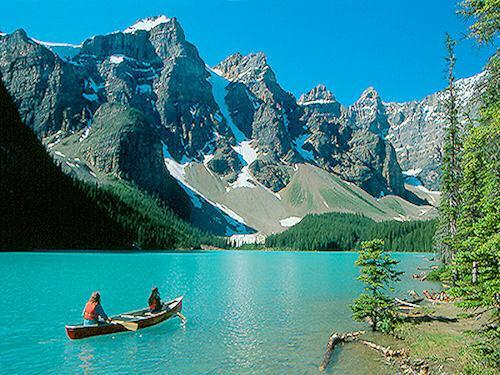 This morning descend from the Canadian Rockies and travel to Calgary International Airport for your early evening flight home. 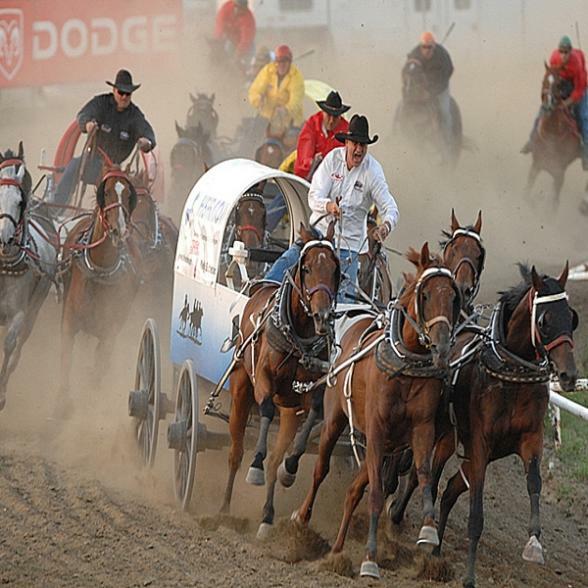 For guests extending their stay to include the Calgary Stampede in July - check into the Delta Calgary for two nights - then join your fellow travellers for the Chuck Wagon Races. 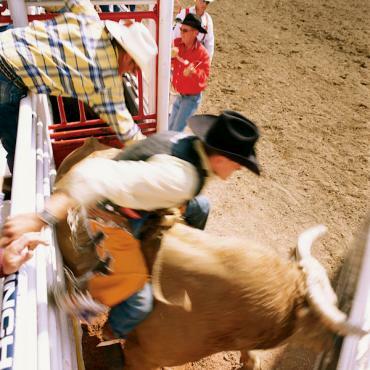 Your all-day pass includes reserved seating for the world's largest rodeo and admission to the Stampede Park, home to agricultural and livestock exhibits, live bands and an amusement park. Cap off the day with a bang at the Grandstand Show, a singing and dancing musical extravaganza with a fireworks display. This is your last day of the tour, however your adventure doesn't have to end here. You may decide to extend your stay and head over to Vancouver for a few days or perhaps cross the boarder to Seattle. 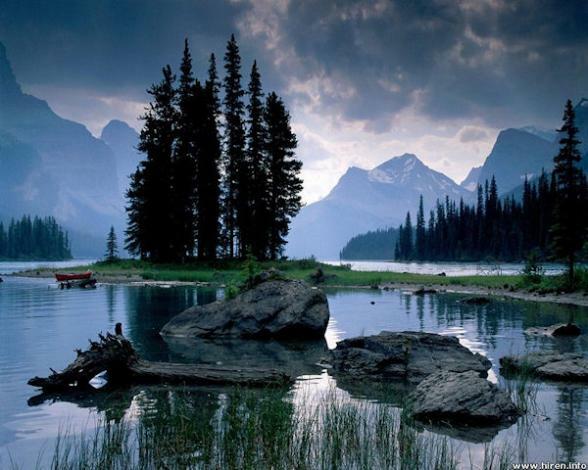 Call the travel specialists at Bon Voyage to discuss your perfect Secrets of the Rockies and Glacier National Park adventure.